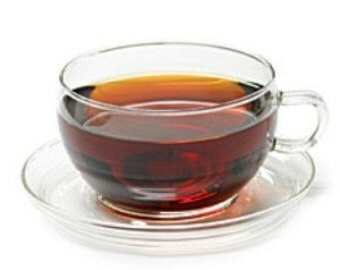 Drinking tea in the evenings is a habit used by many to relax and calm down before going to sleep. It can be a great habit for excellent sleep when done correctly. There are ways to drink tea before going to bed that will keep you up all night and other ways that will help you drift gently off to sleep. Here is why it’s beneficial to drink a cup of evening tea. Some of the reasons for drinking tea in the evening don’t have to do with the tea itself, but the practice of making tea and the routine of making it. A study discussed by Medical News Today found that the simple steps involved in making tea, boiling water and steeping tea, can relieve stress. It is the slowing down and the rhythm of preparing tea that can calm and relax the body and mind. In addition, The National Sleep Foundation suggests that having a bedtime ritual can prepare the body for sleep and help people fall asleep faster. Ritually drinking a cup of tea every night before bed will help your body know that it is getting close to time to sleep so that you can eliminate hours of laying awake. A ritual can signal to your body to make more melatonin, a sleep inducing hormone, so that you are ready to drift off to sleep at the right time. While the ritual and routine of making tea is helpful for restful sleep, not all teas are created equally when it comes to helping with stress relief, relaxation, and sleep. Don’t drink caffeinated teas. This includes all green, white, and black teas, or any blends that include actual tea leaves in the mix. Do drink herbal teas. Teas made with herbs and spices typically don’t contain caffeine. Some of the best known teas for helping with sleep are chamomile, peppermint, and valerian. These teas can relax muscles, relieve headaches, and reduce tension, helping your body rest peacefully. 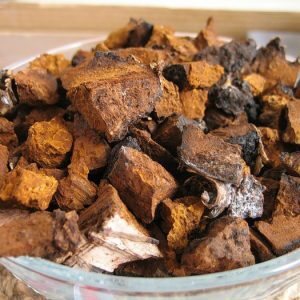 Chaga is also an excellent bedtime tea. 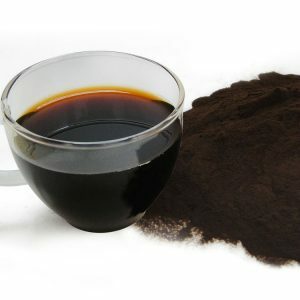 It is made from steeped chunks or powder of Chaga mushroom and contains no caffeine. Its warm, earthy taste blends well with rich spices and almond milk, which makes an excellent calming drink before bedtime. In addition, it contains a wealth of antioxidants and offers numerous health benefits. Tea is good for your mental state. It causes you to pause, brew, and savor. These pauses are especially beneficial in the evening, after a long day. They offer a chance to reflect on the day and let go of the stressors that plague you. A simple cup of evening tea can reorient you, prepare you for a good night of sleep, and allow you to wake up refreshed. Drinking tea is an excellent opportunity to enjoy a healthy drink rather than indulging in something sugary sweet, or caffeinated. 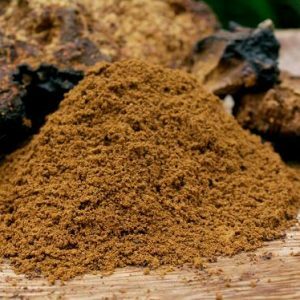 Refresh your mind and body with a cup of Chaga tea in the evening and enjoy the benefits of this healthy habit.